panic. Well calm down and survey the situation. 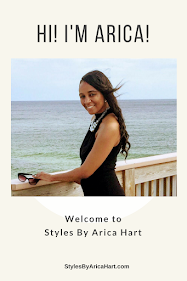 Has your hair been in an Up-do or braid style, where you didn't have to comb it for days at a time. Maybe it's just an accumulation of the hair you shed everyday. 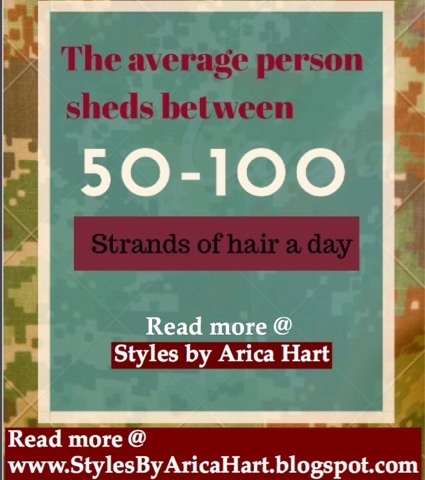 After all, The average woman sheds between 50 and 100 strands per day. On the other hand, if it's more than normal, it can be caused by anyone of a number of circumstances. The health of your Hair can be effected by many different factors. Hair can become thin and break because of lack of the proper vitamins or protein. Other factors can be sickness, Stress, and heredity. Today we will be discussing protein deficiencies. Make sure to consult your doctor to see if you are getting adequate protein and vitamins for your your age range and specific needs. The average person sheds 50- 100 strands of hair a day. Sometimes you may want to start a new diet or you just may not have the time to eat right. Ladies and gentlemen, you have to do what's best for your overall health. Be careful not to eliminate your protein when on a diet unless advise by a doctor. Make sure to eat healthy. Sometimes hair loss is caused by an insufficient amount of protein. When it is not a sufficient amounts of protein in the body, the body will put the hair into a resting stage earlier than it is suppose to. This May causes hair shedding 2-3 months later. That's when you or I may start to freak out. What's going on? How can I stop this? Stop and think about it! Have you been eating right the last few months? Have you been getting adequate proteins? According to webmd.com "adults should eat 2 - 3 servings of protein a day." some great sources of protein are meat, dried beans, nuts, grains, and etc. A Lack of Protein may cause hair loss. Did you know that The hair is made up of protein? Yes, It is made of a protein called keratin. The hair is held into your skin by hair follicles; and has hair bulbs that are used to nourish the hair through the use of blood vessels. Therefore, what you feed your body, you are feeding your hair. As stated earlier, Your hair sheds a certain amount of strands a day. As long as you are getting the proper nutrition and have no health or hereditary issues, the amount of shredded hair should be normal. Hair growth is effected by proper intake of protein, biotin, and Vitamin A. If you don't have the proper protein and vitamins, your hair will began to shed unless you restore what's missing. The best remedy is to eat healthy and Ask your doctor if you need a vitamin supplement. Sometimes, you have to ask your stylist do she/he recommend a protein treatment to help stop breakage, but it's best to keep the hair healthy from the beginning by eating an adequate amount of nutritious foods. Also, Learn different Ways to facillitate healthy hair growth.